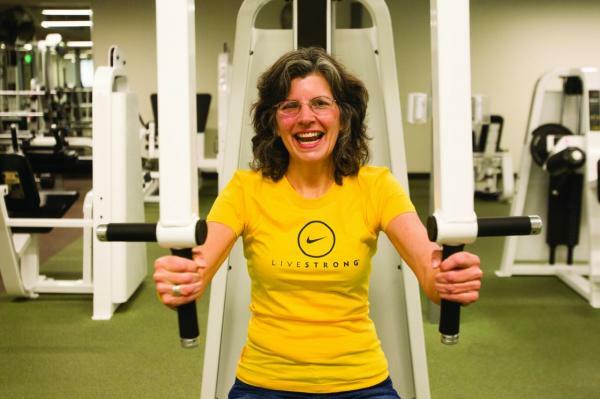 LIVESTRONG® at the YMCA is a free 12-week small-group fitness program that engages adult cancer survivors through an approach that focuses on the whole person. Participants work with trained YMCA staff to build muscle strength and endurance, increase flexibility, improve energy levels, reduce the severity of treatment side effects, restore balance, and improve functional ability to complete everyday tasks. In addition to physical benefits, the program is also focused on the emotional well-being of survivors and their families by providing a supportive community environment where people affected by cancer can connect during treatment and beyond. LIVESTRONG® at the YMCA is for any adult who is currently going through cancer treatment or has gone through some form of cancer treatment (i.e. surgery, chemotherapy, radiation, etc.) in the past that wants to regain their health and well-being. Participants are evaluated on an individual basis. Survivors currently undergoing treatment may participate, but only if they receive medical clearance. Strong personal desire to be enrolled. Survivor must enroll himself or herself in the program. Personally committed to attend all classes. Must inform their physician of their plan to join the program. Complete our screening forms and answer health questionnaire. Give permission for LIVESTRONG instructors to call the physician or person giving treatment when necessary. The enrollment decision will be made on an individual basis. Certified fitness instructors undergo YMCA of the USA training. The instructors give individualized instruction and support to the participants. "Research shows exercise is the simplest way for cancer survivors to reduce fatigue, improve their mood and bounce back from the debilitating effects of cancer treatment more quickly," said Andy Miller, LIVESTRONG® Foundation Executive Vice President. Contact MJ Neumann at 920.921.3330 ext. 336 or mjneumann@fdlymca.org to learn more about the program.